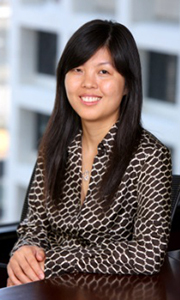 Julie He is Chief Counsel of Glory Ventures with more than ten years’ experience both in venture capital fund and well-known law firms. Julie has took charge of professional adviser in Dentons Law Firm and served as supervisor of legal department in DT Capital. Before joined DT Capital, Julie was director of Legal Department in the Israel’s Infinity Group and dominated to set up many offshore dollar funds, Shanghai QFLP funds and various types of RMB funds, meanwhile, Julie has dealt with more than 100 domestic and foreign venture capital financing, private equity financing and cross-border merger. Julie has a law master degree both in New York University and Fudan University and holds the lawyer qualification in state of New York.